DAYSH, Dorothy Alice. (Dot) Of Carterton. On 16th January 2019 peacefully at Carter Court, Carterton in the presence of family. Aged 98 years. Dearly loved wife and best mate of the late Onslow (they were married for 55 years). Loved mother and mother-in-law of Janice and Warren Henson, Lynne Wood and Ross Thorn, Beverley (deceased), Lesley Robinson, and the late Kevin. Loved Nana of Michael, and Daniel; Annita, and Adrian; Michelle, Tracy, Christopher, and Ashleigh; and their partners. Loved great grandmother of 16 grandchildren and great great grandmother of Sebastian. In lieu of flowers a donation to the Life Flight Trust, P.O. Box P.O. Box 14-448, Kilbirnie, Wellington 6241 would be appreciated and may be left in the church foyer. 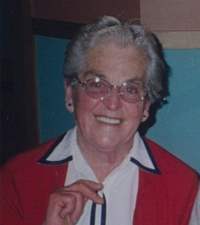 A service for Dorothy will be held in St Mark’s Anglican Church, Cnr High Street south and Richmond Road, Carterton on Tuesday 22 January 2019 at 11.00am followed by private cremation. Janice and Warren, Lynette and Ross, and Lesley together with their families wish to express their utmost thanks to relatives, friends, neighbours and work colleagues who supported them in various ways during their recent loss of Dot. We are so humbled by the many lovely personal messages of sympathy, cards, flowers, food, phone calls, tributes, and the presence of so many at the service. A special thanks to Doctor David Heard and the staff at Carter Court for their amazing care of Dorothy; to the staff of Richmond Funeral Home and a special thank you to Reverend Jenny Henson for her loving guidance and prayers. Please accept this as a personal acknowledgement of our sincere appreciation to each and every one.